As the saying goes, "You are what you eat." A poor diet can do more than simply make you overweight. It can alter moods, energy levels, and even promote learning disabilities. Although there are many solid statements on either side of the argument of processed foods linking to disabilities, the fact is there are certain things that the human body was never meant to absorb. High levels of lead and mercury, for example, can create severe complications in a child's learning capability. Many of these toxins can be found in a variety of processed foods that children consume on a regular basis. Eating organic foods can remedy a vast majority of these potentially harmful toxins, but other methods can be used as well in order to promote a healthier diet. Which Foods Have the Most Benefits for Children? Allergens - The first step to providing a nutritional meal for your child is to segregate those foods he or she may be allergic to. A National Institute of Health study found that learning disabilities can develop from a mere allergic reaction to a specific food product. Removing these allergens from a child's diet could make a vast improvement in the child's scholastic career. 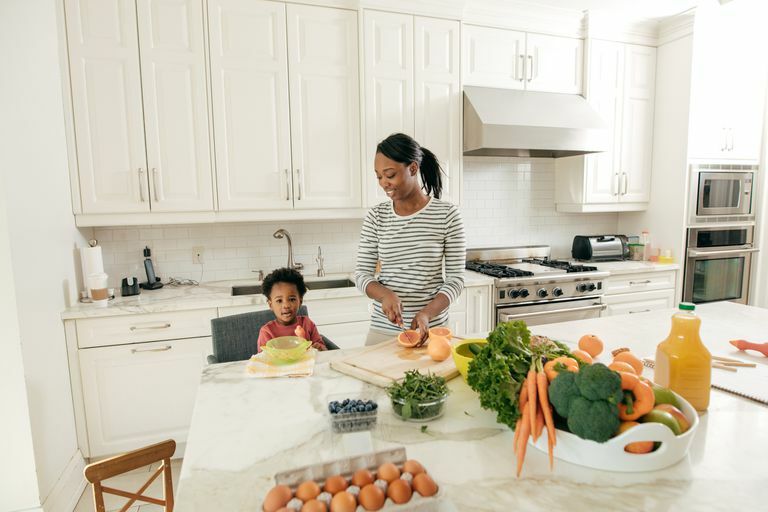 If you are unsure of what foods are hindering your child's development, watch for symptoms, change the diet completely with other foods for a period of a few weeks. If your child begins retaining more knowledge and performing better in school, there is a good chance that an allergen you removed from the home was causing the problem. Eggs - Eggs are a very nutritional breakfast meal as they provide a lot of benefits. They are rich in protein and contain all of the amino acids that are essential to our bodies. As the yolk contains choline, eggs promote regulated brain functionality and help the nervous system. A plate of scrambled eggs with whole-wheat toast in the morning instead of sugar-loaded cereals can make a profound impact on the child's thought processes and physical health. Chicken - There are many benefits for a child to eat chicken. This meat is rich in niacin which is essential for continued brain health. It is also rich in protein and energy boosting vitamin B3. Chicken is used in a lot of dietary methods as it has fat reducing properties and is easily added to other meals such as salads and soups. Instead of serving your child processed chicken strips, which contain a lot of the wrong kinds of saturated fats included in the breading, dice a chicken with shredded cheese over the top. Unless your child is lactose intolerant, this is a great meal to prepare. Soy Milk - Many children are lactose intolerant which can cause a variety of physical and mental problems. Soy milk is high in vegetable proteins which help the body retain calcium. This helps children develop stronger bones and teeth than that of regular milk. Berries - Cutting sweets out of a child's diet could cause withdrawal-like symptoms. Processed sugars can be almost as addicting as many drugs. Berries can promote a healthier diet while still satisfying the sweet tooth. Most berries act as antioxidants and assist the body in the ability to absorb calcium. Berries such as raspberries contain calcium, potassium, and a variety of other health-building components including our friend, niacin. Broccoli - Although this is probably one of the hardest foods to encourage a child to eat, broccoli has been found to help in memory retaining processes. This vegetable is also responsible for vitamin C, beta-carotene, magnesium and calcium. One of the easiest ways to entice a child to eat broccoli is to serve it raw with a side of low-fat ranch dressing. It helps the child see the vegetable as a fun "dipping" food and could provide health benefits that he or she is lacking. Our bodies need a specific amount of vitamins and minerals throughout the day in order to maintain peak efficiency. You wouldn't put diesel fuel in a car that calls for regular gas, so why would you put non-efficient foods in your body? These foods can be delicious but can cause severe repercussions if not consumed in moderation. Help your child with his or her learning disabilities by providing more nutritious meals throughout the day.